Cabernet -- deep, robust flavor with dark garnet color, and. velvety texture -- enjoy with all cheeses ** Baked Brie. Try as condiment with red meats. Merlot -- Hints of blackberry, plum and a bit of spice, with a bright red color. Enjoy with all cheeses, use as a condiment with poultry. Jazz up your cranberry sauce with 1-2 spoons! Chardonnay with Lemon and Rosemary -- Delicious and clean tasting starts with Pear and Lemon flavor notes -- we compliment the wine with bits of lemon and rosemary. A wonderful surprise with light, creamy cheeses -- also use to glaze chicken, fish, and Grilled Cheese Sandwiches. The crispness of Champagne meets ups with whole blueberries and french lavender to produce a surprising and unique experience. The fruitiness is a welcome addition to cheese, and to use in place of sugar in tea, and in baking applications. Combine with Agave or Maple Syrup for a delightful Pancake/Waffle Syrup. Starting with a Jammy-fruited Shiraz -- tart boysenberries and basil are blended and slow cooked into the wine. Perhaps the most unique flavor combination of all the Wine Jellies. Offering tremendous opportunities for experimentation beyond cheese and crackers -- think apps to dessert! 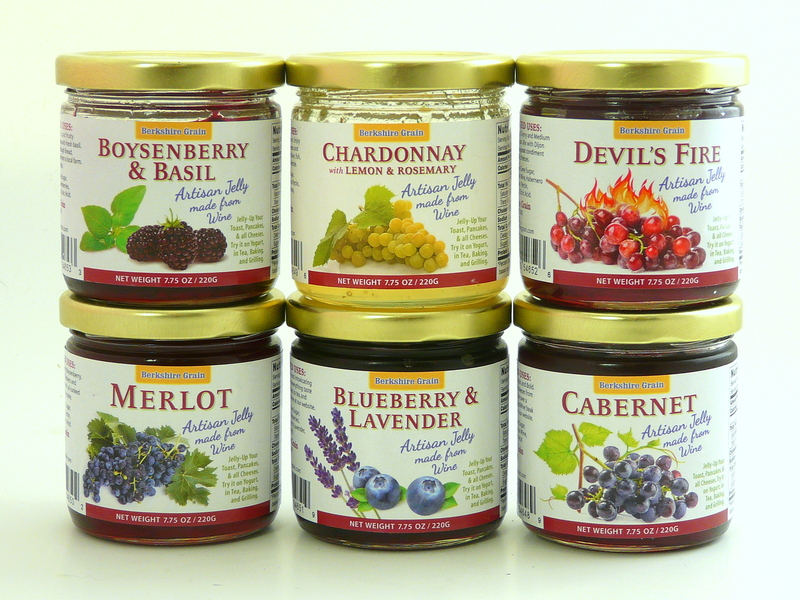 Devil's Fire Zinfandel Wine Jelly - Medium, Sweet Heat! 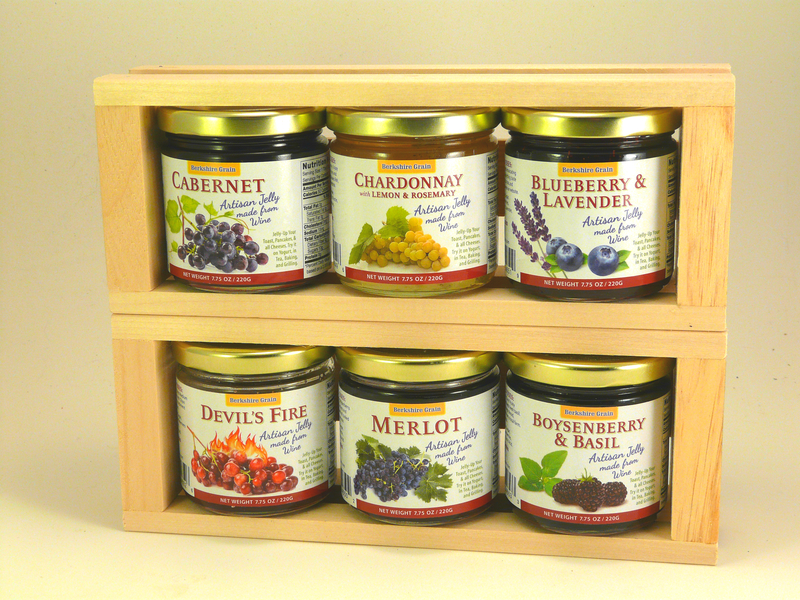 This old vine Zinfandel Wine Jelly starts off with an aroma of spicy, sun-ripened raspberry and cherry -- blended 3 raging types of hot peppers. The result is a lush, sweet Zinfandel, with a spicy hot finish - Enjoy with all cheeses and as a condiment blended with mustard, ketchup, relish, vinegar, barbecue sauce.